Many older Americans wonder whether they need life insurance in retirement. As with many things in the world of personal finance, the answer depends on the facts and circumstances. As we mourn the high-profile deaths of soul icon Aretha Franklin and Arizona Sen. John McCain this past week, it's not a bad time to put a spotlight on dreaded topics, such as end-of-life paperwork. No matter how loved or how respected, people die. And those who are left behind must gather the pieces. So where exactly is that life insurance policy? You might think no one could lose track of a life insurance policy. Think again. At one point, it was estimated that at least $10 billion in life insurance policies nationwide had gone unclaimed or unpaid. My own family ran up against this one when my father died in 2001. Many families don't know if someone took out a life insurance policy. Or they don't know what company holds the policy. People may move around from one state to another and lose the paperwork. Many times, frankly, people don't like to talk about things such as insurance or death. One might think, wrongly, that if someone dies with an insurance policy that somehow the beneficiary will find out about it and be able to claim the money. But that's not always true. Over the years, we've heard stories of family members who would receive a check for one policy after the death. But they did not know about other policies at the same insurer. It could take years – if ever – to find out about those other policies. Several years ago, life insurers faced tough scrutiny from state regulators in California, Florida and elsewhere for the failure to pay death benefits because it is up to the beneficiaries to file a claim following a death. But how do you file a claim if you don't know if there's a policy? Florida regulators maintained that life insurance companies were not taking adequate steps to try to pay up when some information was available but no life insurance claim had been filed. Insurers would use information from the Social Security Administration’s Death Master File to stop paying a deceased person’s annuity but not use similar information to search for beneficiaries of a life insurance policy. A multistate effort by regulators led to settlements in which more than $8.7 billion in life insurance proceeds was returned to U.S. consumers. And more than $3.25 billion was returned to individual states, where unclaimed-property programs continue efforts to locate and pay beneficiaries. Florida, for example, had reached regulatory settlement agreements with dozens of companies, including John Hancock, Prudential, Met Life, AIG, Nationwide, TIAA-CREF, ING, Transamerica, New York Life, Jackson National Life Insurance Company, Hartford Fire & Casualty Group, Aflac and State Farm. Since then, more programs exist to help consumers search for lost life insurance policies. The National Association of Insurance Commissioners has its own Life Insurance Policy Locator Service, which was introduced in 2016. The national tool so far has matched 21,530 policies with consumers – uncovering policies with a reported face value of nearly $309.2 million. Also in 2016, the Michigan Department of Insurance and Financial Services rolled out a free Life Insurance Annuity Service. During the past two years, consumers recovered more than $6.3 million in lost or missing death benefits through Michigan's program. How do you start looking for a lost life insurance policy? What you want to find is any kind of paper trail that might uncover a lost or little-known insurance policy for a deceased loved one. 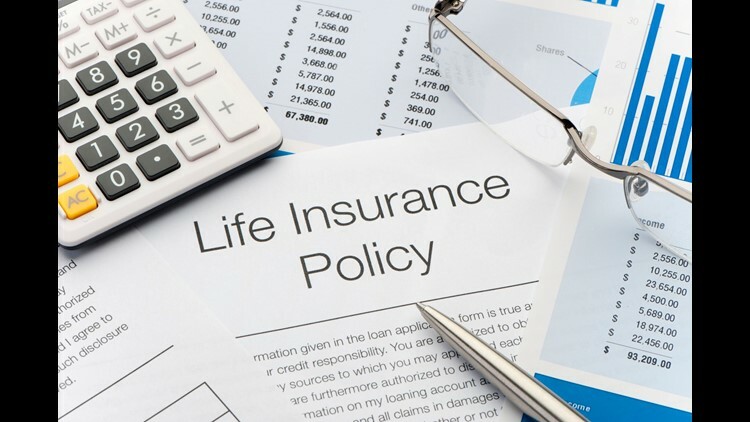 About 59 percent, or 192 million, of Americans have some type of life insurance, either covered in individual or group policies, according to LIMRA, which focuses on life insurance and retirement research. The top three reasons consumers give for having life insurance are: covering burial and final expenses, replacing lost wages or income of a loved one and leaving an inheritance. September happens to be life insurance awareness month. So the odds are fairly good that a loved one could have life insurance, even if you don't realize it. Where to look: Bank statements or old canceled checks could show payments that were made to life insurance companies over the years. Look for paperwork in lock boxes or safety deposit boxes. Ask family members, financial advisers and insurance agents about life insurance policies. Are there any copies of applications for life insurance policies in files or drawers? An application for a life insurance policy would list other life insurance policies owned at the time of the application. Review copies of the deceased's tax returns for the past two years to spot any interest income or expense reported that relates to a life insurance policy. Do something as basic as keeping an eye on the mail, according to a tips list from the Insurance Information Institute. Look for premium notices or dividend notices in the mail for the year following the death of a policyholder. If a policy is paid up, you would not receive a bill for premium payments. But the company might still send an annual notice or a notice of a dividend, according to the Insurance Information Institute. Check with any former employers of the deceased, as they may have information on group life coverage. Michigan offers its free Life Insurance Annuity Search Service through the state Department of Insurance and Financial Services to help locate a deceased family member’s life insurance policy or annuity contract that was purchased in Michigan. See www.michigan.gov/difs and search LIAS. "We're really happy to see all that money going to consumers who were owed it under their life insurance or annuity contracts," said Amy Miilu, insurance complaint manager for the Michigan Department of Insurance and Financial Services. On the high end, Miilu said a few found policies amounted to close to a million dollars. The smallest payouts to beneficiaries ended up being a few hundred dollars, often involving a graded death benefit policy. Such policies enable a consumer who is not healthy to buy insurance but if the consumer dies in the first few years after the policy is purchased the payout is minimal. Some consumers did receive a few thousand dollars, though, so it's definitely worth the extra time to fill out an extra form. An important point to know about the Michigan program: You need the Social Security number of the deceased to do the online search. Miilu said some people have put in all zeros when they don't know a Social Security number, but she suggests looking at the death certificate to find that number. Without a Social Security number, a request in Michigan won't be forwarded to insurers or processed. During the last two years, more than 2,000 requests have been submitted to insurance companies participating in the search program in Michigan. The program has helped match more than 1,400 policies. More than 370 licensed life insurance and annuity companies voluntarily participate in the Michigan program. Often, life insurance companies will respond directly to someone only if the insurers have reason to believe that they have a policy or annuity contract in the name of the deceased. And you'd need to be the designated beneficiary or someone who is authorized to receive such information. Consumers can do free searches via 29 state insurance departments. State insurance departments do not have records of specific insurance policies. But the departments can assist consumers in finding lost policies for the deceased. In Michigan, information from requests is regularly forwarded to insurers participating in the program. The National Association of Insurance Commissioners, a group of state regulators, helps locate lost policies for those who believe they are beneficiaries, as well as executors, through its "Life Insurance Policy Locator." See www.naic.org and click on "Consumers." Again, the national system works with insurance companies that have voluntarily agreed to participate. States that maintain their own systems include Illinois, Michigan, North Carolina, New York, Ohio, Louisiana and Oregon. If you think a policy might have been purchased in Canada, contact the Canadian Ombudservice for Life and Health Insurance for information. Click on "Policy of a deceased." Remember, the searches are free. The answers aren't immediate and could take a few months before you're notified. Even if you think you've found one policy, it could be worth doing a search. When my dad died, my mother filed a claim on his life insurance policy in 2001. But somehow another policy fell through the cracks with the same insurer. And we didn't even discover that policy that my father held until after my mother died 10 years later. It was one incredible, ridiculous effort and it felt like an amazing victory to finally receive that very modest check. Searching should be far easier now. If a life insurance company knows that an insured client has died but can't find the beneficiary, the insurer must turn the death benefit over to the state where the policy was purchased. See the National Association of Unclaimed Property Administrators or www.unclaimed.org to do a search. You're able to find the state via the site. If you can guess where the policy was bought, you can contact the state to see if it has any unclaimed money from life insurance policies belonging to the deceased. In Michigan, you can look for unclaimed insurance policies, as well as lost or forgotten money from dormant bank accounts, uncashed checks, valuables left in safe deposit boxes and stock certificates. Go to www.michigan.gov/treasury and click "Unclaimed Property." Again, it's worth it to take the time reviewing unclaimed property databases even when someone hasn't died. Over the years when I've looked, I found an uncashed paycheck for my brother-in-law, as well as more unclaimed cash for co-workers.